We're making a return trip! Space is very limited so if your interested place act now. For complete details click here. 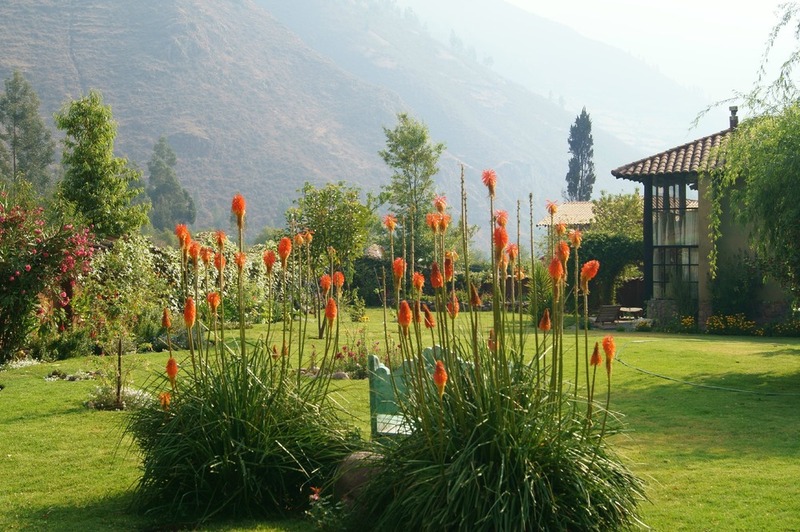 I have just returned from the Sacred Valley of Peru where Amanda and I led a 7 day Nourishing Cleanse retreat. It was a beautiful journey with our group of 7 awesome participants filled with many fun and enriching moments in this ancient land. I have much I want to share with you about my trip, but right now I want to let you know about an upcoming opportunity that begins this Monday, November 2nd to join The Nourishing Cleanse Group Fall Cleanse guided by my beloved, Amanda Love. After having just completed this cleanse myself, I can testify that this cleanse is truly healing and nourishing. It includes real food from Amanda's very own tried and true recipes. On this cleanse you will get to eat delicious Classic Chicken Soup, Beef Soup with Veggies, Cream of Carrot Ginger Soup, Cream of Broccoli Soup, Cream of Winter Squash Soup, Roasted Chicken, Sautéed Salmon, Roasted Veggies, Green Veggie Juice, Coconut Chia Seed Pudding and many more delicious dishes. If you are feeling like you want to lighten up and reset your digestion with a truly nourishing cleanse, Amanda Love's Group Fall Nourishing Cleanse could be right for you. She only leads this cleanse twice a year. It is all online so no need to be local if you do not live in Austin. Amanda has asked me to include a video for you on how to make Homemade Chicken Broth. She made this video to show you just how simple it is to make your own homemade broth. Enjoy! I have been in Peru for two weeks. Wow what a trip! Two weeks ago we arrived in Lima close to midnight very tired, but excited. We got into a taxi and drove along the coast to an area called Miraflores and went to sleep in a small hotel. The noise was constant all night of traffic. Because we live in the country outside of Austin, we are used to quiet so sleeping was a challenge. The next day we had a good breakfast consisting of eggs and guacamole…yummy. Then we exchanged money with a one legged guy sitting on the corner in a plastic chair in front of a bank! Later that day we got on another flight to Cusco, then a taxi ride to a small town in the Sacred Valley where we held our retreat. The Sacred Valley is this special energetic area of Peru, only a few hours to Machu Picchu. We were received by our graciously friendly host and owner of the Greenhouse b&b, Kelli. We had finally landed. We awoke the next day to beautiful Peruvian light, mountains, fresh crisp air, beautiful grounds filled with rainbows of colors in the plants and the smell of jasmine in the air. Two days later our retreat began. We had an incredible group. As every person came in to the Greenhouse B&B, I "cleared" each person coming in with Palo Santo sticks (something the shamans use in Peru to cleanse). This was done to let go of all the challenges of travel. We all bonded quickly through our meals cooked by the amazing Amanda Love. We ate the "Nourishing Cleanse". Although we were cleansing, the food was delicious and no one went hungry. It's amazing how veggie juice, warm savory soup, and rainbow salad (it's a term I made up for a colorful salad) can really nourish you. Everyone received treatments from me in which we did the same as back home (muscle testing the physical body, emotional body, chakra systems, however for this trip we focused on spiritual acupuncture treatments) but I added Reiki, Medical QiGong, and Cranial Sacral which was an added bonus. I had everyone focus on an intent for the trip or what question(s) was coming up in their life. This began to set the tone for the trip. We practiced yoga most mornings in the grass with mountains in the background. I travel I realize how important yoga is after a long trip. Yoga helped to us to stretch out not only our bodies, but our being. 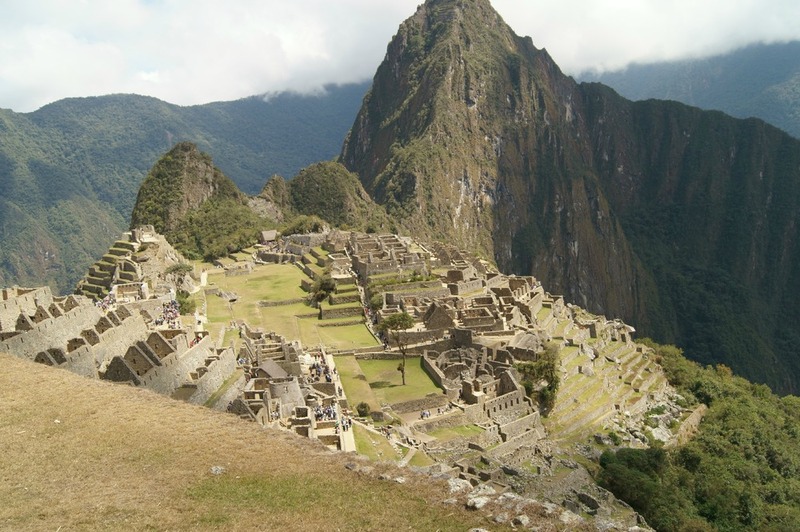 To allow yourself to take a retreat in a sacred area like Peru is rejuvenating for the mind, spirit, then the body. We encountered amazing food markets. The mountains of Peru have incredible farmland and soil. Did you know there are 4000 species of potatoes in Peru? They love potatoes. Because we are foodies, we dove into the food market world asking questions of what is that and how do we eat it. We visited amazing ruins built by the Incas for farming and worship. And salt mines coming from water out of a mountain. Of course we went to one of the most sacred places on the planet, Machu Picchu. The picture does it no justice, you must go if you have not. The history and vortex of this place is like no other. Besides all the amazing places we saw, things we bought (alpaca rugs are heavenly), everyone connected deeply. We bonded through food, cleansing, letting go or clarity of something that was challenging us, through the very aspect of being in “the heart chakra of the world”, and our evening sharing groups. After this experience, we wanted to send the focus of our next retreat deeper into spirit work. Hold on, because our next retreat is guaranteed to change your world! We arrived in Abadiana early Sunday morning. It’s a small town in Brazil with a special individual, John of God, who heals in a place called The Casa of Don Ignancio. Sunday afternoon I received a tour my first visit to The Casa. It began by walking through the gates and peering to white and blue buildings. The first room we peered into was filled with lots and lots of canes, walkers, and wheel chairs. These had been left here because people that had received ‘a healing’ did not need them anymore. Next came the room where they perform the surgeries (physical), one of many remedies (other remedies include energetic surgery, herbs, crystal beds treatments, a visit to the waterfall, and sitting in current) he prescribes. The surgeries are what are glamorized about John of God (lots of you tube videos and even Oprah has footage). The room is filled with pictures of healers from around the world. After a prayer, I am shown the infirmary, where people go after surgery. Next, we see a kitchen where they make soup for Wed, Thurs, and Friday for everyone who wants it for free. The path takes us to a beautiful overlook of rolling hills with many wood benches. People are praying and meditating. After passing the rooms that contain the crystal beds, we go toward the crystal store. As we turn the corner, there is a large crystal amongst hundreds of crystals that catches my eye. I walk up towards it and touch it with both hands. I smile. I am filled with joy and a powerful energy. My friend sees my response and tells me to put my forehead on it. When I do this, wow, it was as if I was seeing Kirlian photography. Vivid colors and different shapes fill my head like a kladieoscope. I walk away not knowing what to expect in the days to come….possibilities. I decided to come to see John of God because a friend and patient of mine came into my office many months ago. She told me to test her systems without telling me anything. I had not tested her systems for a few months, but there were always disbalances. This time only one system came up! I triple checked and crossed checked. Totally shocked, I asked what she had done. She told me she had gone to Brazil and seen John of God three months ago. It was at that moment that I heard a voice saying “Your going”. Which I did not understand why or who or what John does. I didn’t mentally comprehend what was going on, but I told her if she was going again to let me know. Months pass and I go to vacation in Tulum, Mexico. When I get back I receive an email from my friend giving me the dates of her next trip to Brazil. I was really interested in going, however I just went on vacation…time and money. Could I really take more time off and did I have the money for a two-week trip? I was entering my first test, how much did I want to go? I began dreaming the answer of yes, yes then more yes. And of course, the money came. I bought my ticket. People who have written books about John of God (there are many) say that when you buy your ticket, the spiritual energies begin to work on you. I didn’t feel much different until two weeks before my trip. I began to dream of scenes events that later actually came true. One of these was a dream that I was directed to a prayer room (it turned out to be the current room). I began praying for myself. However, it began to be clear that I was not there to pray for myself. My purpose was to pray for everyone I knew. My family, friends, and all my patients…one by one. Little did I know, this would happen during my first visit in current, which will be described in detail soon…..
It’s Monday and rain comes down cleansing the streets and our souls. Puddles of mud are created just as our issues accumulate in pool inside our energy field. Today I go for my second crystal bed treatment. This one will be for a double session back to back (30min). The crystal beds consist of 7 crystals, one for each chakra, with a colored flashing light (color coordinating to color of the chakra). The crystals are above you as you lie on a table face up. The flashing crystals hover above you from a device that holds the crystals over each chakra, flashing in sequence with every other chakra (1st is simulateous with 3rd charka..etc). The crystal bed treatment was wonderful. The first part was relaxing and I even fell asleep at times. Then I was awakened, a question popped in my head of what color I needed help with (coordinating with which chakra or energetic area I needed help with). I saw yellow light. I felt and saw the light of five beings around me healing my physical body. Energy poured out of my solar plexus (my midsection around my Liver). Heat and constriction flowed out leaving me in neutral space. Next, my palms automatically went face up. Energy flowed out my palms and my third eye, forming a triangle. The beings disappeared into the triangle. I began to receive a transmission of love, peace, and serenity. The feeling was strong at first then began to fade. I found myself wanting to sing or hum. The humming flows out slow and drawn out. The notes were something I heard a shaman sing a few years ago during a ceremony. I came out feeling emptied of congested energy and restored, my body thirsty for a fresh coconut water. After that pleasure, I visited the crystal store. For those who know me, I have a special relationship with crystals. They have been my assistants in helping others for many years. My search began for the ones that wanted to come to my clinic. We woke up early Wednesday morning to meet John of God. After getting our tickets to go in the first time line, we visited the translator to transcribe our top three things we wanted to work on to Portuguese. There is lots of waiting in this process. Learning patience is part of the healing process of slowing us down. They call for the first time line and everyone squeezes into some resemblance of a line. The line moves into the first interior room called the first current room. Our line moves past a group of people who are seated and have their eyes closed. They are helping to cleanse the people passing through to see John of God or João de Deus. Then came my 10 seconds with him. I handed the translator my note of the three things I want to work on however, nothing was ever said between João and the translator. He takes my right hand into his hand and looks through me (he is looking at my aura, my energy). Something is muttered in Portuguese and he hands me a prescription. The translator tells me to go to current at 1:15 later that day and to go pick up herbs at the pharmacy. Amanda and I ate some blessed soup, then prayed on the deck overlooking beautiful green luscious hills. I was back at 1:15 for current, not knowing what to expect. I sat in a wooden pew, without crossing any part of my body, eyes closed for 5 hours! We were to hold the space, pray, clear the energy of the future lines of people to pass. Our job is also to support the body of João. Before I continue with current, I want to say more about who John of God is. He is a full-embodied medium. Which mean spirits enter him and perform the healing or prescription. He is not aware of what goes on, yet it is rough on his physical body. This is one of the purposes of current. To support John’s physical body, while a spirit is in him. During the beginning of current, I felt a vortex of energy like a slow moving tornado in the middle of the room. I felt like it was a doorway to the spirit world. I have done all sorts of meditations, Tai Chi, Qi Gong, Reiki, treatments and nothing compared to this experience. What they did not tell me is that your issues begin to come up. I thought I was going to focus on a physical issue of mine. Let it go. This was not the case. I automatically began to pray for my family, my girlfriend’s family, my friends, and each of my patients one by one. This feeling was so powerful. During the current session I could feel people’s stuff or issues come up. The air was thick and I could sense emotions floating all around. Most of the energy would go into the vortex. This is one of the reasons we are to keep our eyes closed. Otherwise, some of the energy could enter us. Not a good thing. Towards the last hour, we were directed to bring in the light and to ask help for ourselves. This is where I began to practice Qi Gong (Yan Xin). This internal form helped me to absorb the qi or energy inward. The practice of course was amplified by being in current. After some closing prayers, we were allowed to open our eyes. The transition was slow back to this world. I later learned that everyone has a different experience in the current room. I heard some say it was the hardest thing they had ever done. The current room brings out our issues and we have nowhere to hide. The second time in the current room was more challenging and rewarding. Once again sitting for 4 hours with your eyes closed and not crossing any part of your body. The current room is where there are amazing gems can be discovered by facing your issues head on. This can be very intense. People cry and release; its like a spiritual washing machine. And sometimes you get rung out. When I began meditation, it was very clear what I was to work on. For the next few hours I cleared blocks between myself and others I had personal issues with. Any negative emotions or blocks with anyone I knew must be cleansed for me to move on in this process. This was very tough. Think about someone that really triggers you, why they trigger you, and making peace (from your end) with them energetically. The current room accelerated this process exponentially (It has taken me years of other work, which never got me there). Involuntary tears fill my eyes at the peace in my heart. The blocks between these others and myself vanished. I released a weight I didn’t realize I even had. These blocks are part of what creates disease. I accepted others for who they are, where they are at in their process of life, and saw the blocks I allowed to come from my end. The next day, Saturday, Amanda and I visited the waterfall. After about a mile hike down a gravel road in the Brazilian hill country, we enter the area of the Sacred Waterfall. Men and women must go down to the waterfall separately. It is truly beautiful (unfortunately no cameras are allowed). Monkeys are in the trees as you dunk in the water cleansing your body, mind, and spirit. Sunday morning we go to church service that involves mostly songs. All sorts of songs are sung; everything from Down at the River, to Imagine (by John Lennon) are sung. Songs are sung in English, French, German, and Portuguese. Truly unifying. Today I started with my first current of the day at 7:10am. This one went all over the map. I covered many areas of my life to work on. I started by a kind of review of what I accomplished in the first two currents. The current room was reminding me not to lose any ground that I had accomplished. New issues that started to come up over the days between the sessions came up. It is so profound to create a game plan for these issues, explore what energy has you locked into a pattern, and take the next step toward unwinding it. The new challenge with this session is that I would be on one issue then jump to the next, but then realize I needed more work on the previous issue. The current ended with a new mantra of mine called the Wise Warrior. It represents being in a calm non-reactive state, yet being in my power and being able to call upon my power when needed. The new model of wise warrior is like a Tai Chi master. After the session, I enjoyed a coconut water and a enjoyed a beautiful sunset (pictures soon to come). A few minutes after getting back to the hotel, I realized how stagnated I felt for not moving or talking for most of day. Irritability hit me hard. I wanted to workout, lift weights, run, or hit a punching bag, or something. But because I had a surgery last week, I am to do none of these. So I took a long walk. After a nice dinner, I treated myself to an acai pudding with mango cream to smooth out my ruffled feathers. And it worked. Today we went into a line called the revision line (it’s a line that John of God tells you what to do after your surgery). While in line you pass by the all the people sitting in current. This was the first time I could feel their effects. Before, when I had sat in current I felt the energy generator we were creating. Now I was receiving a different benefit from current, they were cleansing me. There are 2 main rooms of current and they felt different. The first room of current felt like it began the cleansing process on a denser energetic level, perhaps physical. The second current room seemed lighter, cleansing a lighter layer. Then before you get to João de Deus, there are five to seven mediums to the left and the right of the line. These mediums are people who have been chosen by João and have gone to a special school to enhance their clairvoyant abilities. They are clearing stuff on all levels. To the left of João are five to eight huge 5ft crystals (I lost my counting ability), which just pull you forward. Seeing João was disappointing. He simply looked at me and told me more herbs. It is part of the process. As an American, I want to know my next step. This part of the world teaches you patience. I waited for hours for him to tell me to come back this afternoon. However, just going through the line is healing. During the afternoon, I went through the line again to get permission to go to the waterfall. He gives me a prescription for two more visits. The entire day was about waiting, learning patience, healing from going through the line. I felt it was a nice change from sitting in current for eight hours like the previous day. I also got to witness a couple of physical surgeries. WOW! I have seen them on you tube but seeing them live is quite an experience. He performed a nose surgery on a man. This entails putting eight-inch forceps into the nose toward the brain and twisting over and over. He performed another surgery on a woman’s abdomen to remove cancer. The physical surgeries are voluntary; any one can have one. This does not mean they are any more powerful over an invisible surgery. It’s what ever you need to believe. I met so many people cured of cancer with invisible surgeries. Hearing the stories touched my heart. There was a story I heard today of a woman who was deaf and mostly blind. She was in line when John of God saw her in line. He stopped the line and asked her to come forward to perform an eye scraping surgery (he literally takes a scalpel and scrapes her eye). The next day the woman said it was the first time in over a decade she could see her hand clearly. The stories are common, yet some take many trips of going to the Casa. The staff at the Casa says that everyone must participate in their own healing. With each trip, the spirits work on us but we must also work on ourselves. This was my final day to receive any healing from the Casa this trip. I chose to sit in current for the morning. I got up bright and early and got the Casa by 7am to get a seat. This current was amazing! I began my meditation and I fell deep fast. I received help from some spiritual guide who asked me to follow him. We went to an empty outdoor musical amphitheater. He showed me to my seat and for a flash he let me see the entire theatre filled with people. Everyone disappeared because he knew it would be too distracting for me. We were to practice traveling now from this place to some places that were familiar to me. This was I labeled as astral travel which I had done some in the past. I was to practice this over and over. It was so much fun to travel and learn from masters, practitioners, and friends I had from my past. I began to ask if this was to prepare me for teachers I had not met. He smiled as if confirming the thought, and said you have no idea what is possible. My job is to practice this level and they will help me in the future. But I must do the work. I have to do everything I have learned on this trip in action. The rest of current was a review of all of my teachings during the trip. It turned out to be a 5-hour current. The last 30-45 minutes were challenging but prayer and Qi Gong sure do help. For the afternoon session, I decided to have my second invisible surgery. I did not feel many changes with my first surgery but I had made so much progress in current so I was optimistic. The surgery lasted over 15 minutes. I felt tired and out of it immediately thereafter. I went back to the hotel or posada and fell asleep for a short while. I didn’t sleep much until about 9pm. I crashed hard. In the middle of the night I felt like someone was touching me. I felt warm healing energy. Suddenly a plastic 1.5Liter water bottle fell over and made a loud noise. It startled me. Until then I had not felt much with the surgeries. I had one of the greatest rejuvenating night of sleep in my life. I awoke with a peace, calmness, and the joy of a child. I was processing the rest of the morning what had happened that night. I was now convinced the spirits had come to help me heal from my surgery. Feeling is believing. I could feel some results from the surgery. At that moment, I knew I would be back for some more healing for my heart, mind, and soul. The Casa is a very special place. I met people from around the world who were seekers of healing. Everyone gets what they need, not always what you want. When I was in Brazil I reheard the phrase “We are spiritual beings having a human experience”. This idea took on a new meaning for me. I am now more in touch and aware of everyone’s (including myself) spiritual being. We need to hear and take care our spirit body just as we take care of our physical bodies….otherwise more issues within our physical body will occur. How do we do this? Step one is to Slow down. Give yourself room to process. This does not mean distract yourself with something like television, reading, music, or exercise. It means to be quiet, meditate. If meditation is not accessible, then start by expressing your feelings to a friend, a partner, or a journal. After feeling your emotions, sit with them. What is it that your heart really wants? What is standing in its way? How can you get there? How can you step into your power to receive and give? These are the questions I ask myself. Being back for over six weeks from my trip to Brazil what has changed in me? I am more in my body, more conscious of others and myself. Beyond the awareness, I have the energy to take action and change what needs to be changed in my life. I am caring for my spiritual, emotional, and physical being at a deeper layer. In the last few weeks, I have made radical changes to my home, which reflects my internal changes. Clothes, furniture, and other items were let go to help me cleanse the old energy. New floor, new paint, and lots of reorganizing have changed the look, feel, and the energy of my home. Other things I have relearned is that the impossible is always possible. We are all beings made of energy. Our chronic issues are trying to teach us something. It is our gift to help us to strive to learn, to open, to grow, or to let go of a pattern. Even though it may be a struggle, miracles can happen. While in Brazil, I witnessed colon cancer being removed, a blind woman being able to see, and terminal breast cancer patients being healed. Witnessing or hearing these stories opens you to the possibility of healing on many different levels (physical, emotional, spiritual). If you ever decide to visit John of God, remember, you get what you need, not what you want. The more you are open to change, the more it will occur. heal.austin is a functional medicine practice led by Ron Banuelos that has been delivering altnernative and holistic health for over 10 years from its Austin, Texas location.